Dr. Swinburne accepts the following list of insurance providers. Select your insurance provider to see more details. I am a neuroradiologist with expertise in diagnostic imaging of the brain, head and neck, and spine. The field of neuro-oncology allows me to apply my background in technology to improve the care of people with tumors of the central nervous system. My research interests include imaging informatics, which is the application of information science to radiologic imaging. The goal of this work is to improve how we detect diseases, assess and classify tumors non-invasively, and evaluate disease response to treatment. 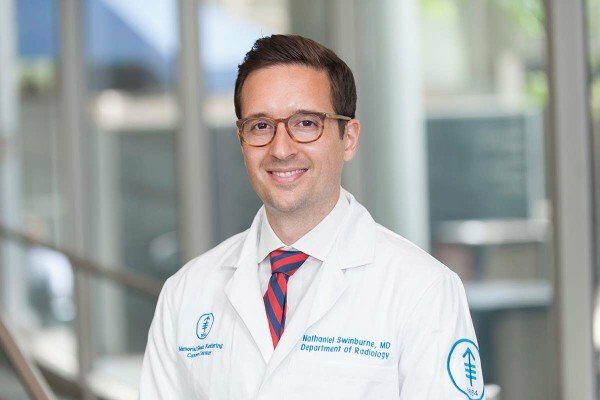 I work closely with my colleagues in neurosurgery, neurology, otolaryngology, and radiation oncology to bring these advances from the lab to the bedside to improve care for our patients. Visit PubMed for a full listing of Dr. Swinburne’s journal articles. Pubmed is an online index of research papers and other articles from the US National Library of Medicine and the National Institutes of Health.